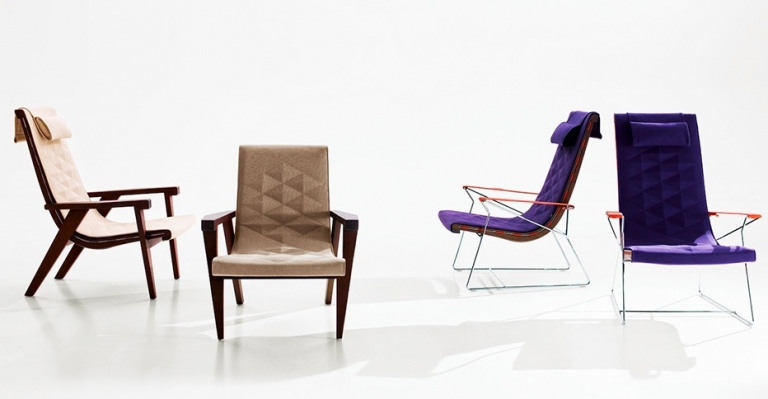 The J.J. chair has been designed in two different sizes: one for relaxation, with high backrest equipped with an adjustable headrest, and a lower version for conversation. 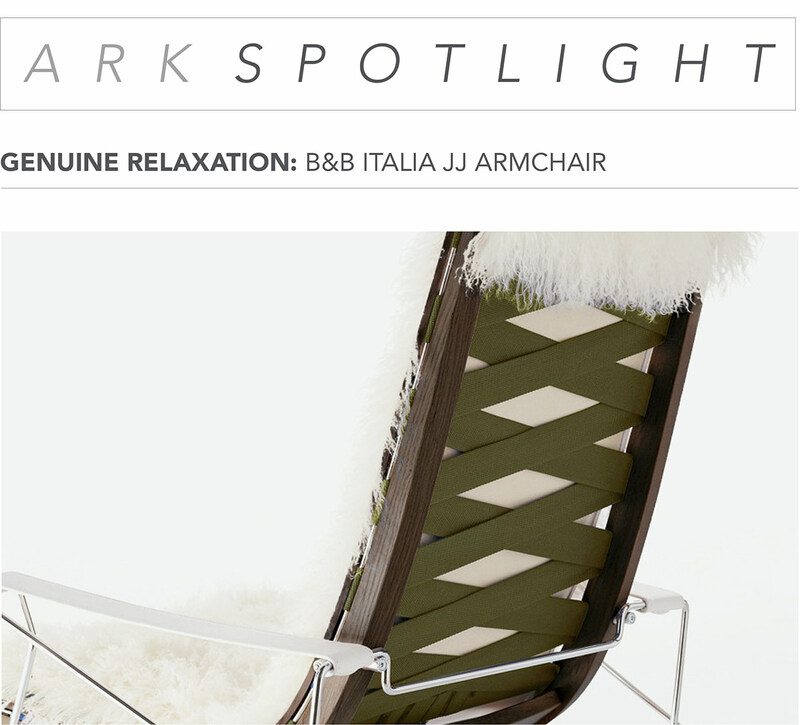 A stunning rocking chair version is also available. The base of J.J. is made of chrome plated steel rods supporting an oak frame in brushed light, brushed cognac, gray or brown finish. 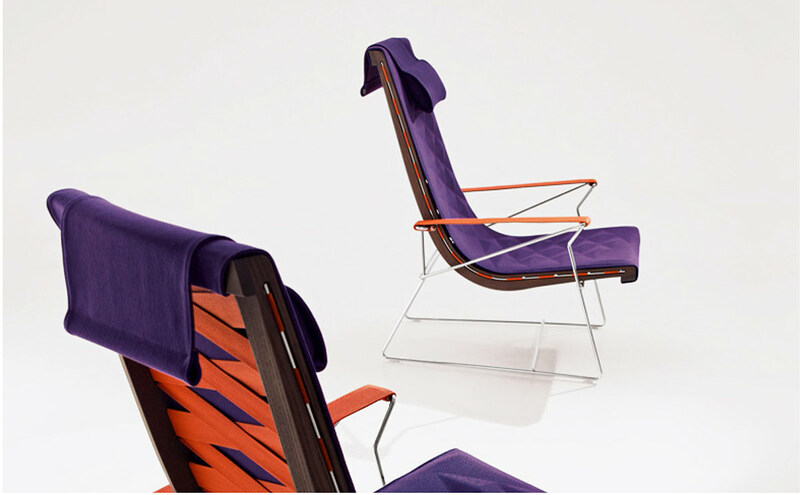 The seat is made of colored criss-crossed belts which attach to the wooden frame, and cushioned upholstery stretched across the wooden frame made of leather or fabric. 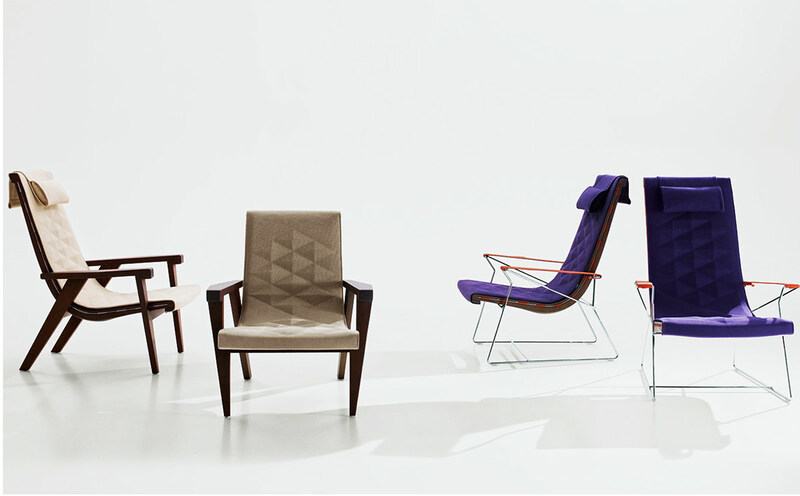 Details are carefully studied for every armchair, ranging from polypropylene belts that design the backrest to mattresses covered with an embossed diamond design, which can be adopted to enhance comfort. 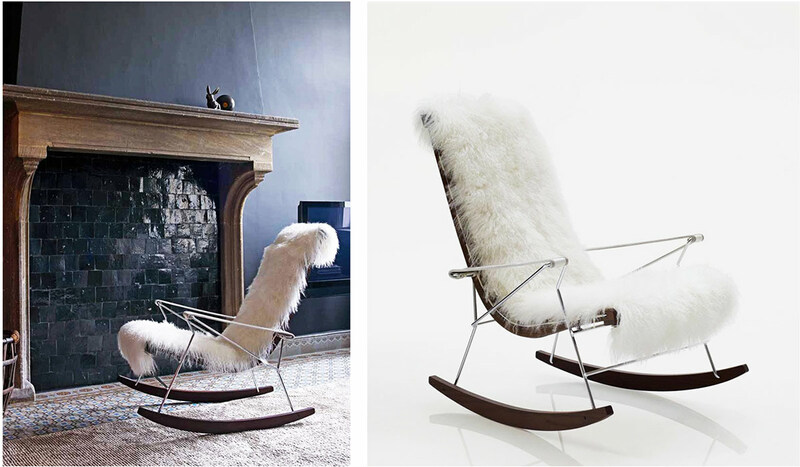 There is also an armchair fitted with a sleigh, the expression of the traditional rocking chair that becomes even more glamorous when it is dressed in long-haired Mongolian lamb fur. The J.J. armchair makes an ideal statement piece in any room, enticing each and every person it encounters to take a seat, and relax.